When Intel introduced its Conroe architecture, it seemed to ditch the Pentium name in favour of the Core brand. After all, the ‘penta’ part of the name referred to the Pentium being Intel’s fifth range of x86 processor, and calling the Conroe architecture ‘Pentium 5’ would have created some kind of silicon-powered rent in space-time. A bit like being the seventh son of a seventh son. The Pentium name was never really, truly dead though - Intel resurrected it for low-end, cut-down versions of current-generation CPUs, many of which proved to be immensely overclockable. This latest Pentium CPU, the G6950, is based on the 32nm Clarkdale architecture, and with only 3MB of cache should prove a potent overclocker. The G6950 is therefore an oddity – it’s both Intel’s cheapest and most basic current-generation processor, and yet uses the company’s most advanced 32nm manufacturing process. 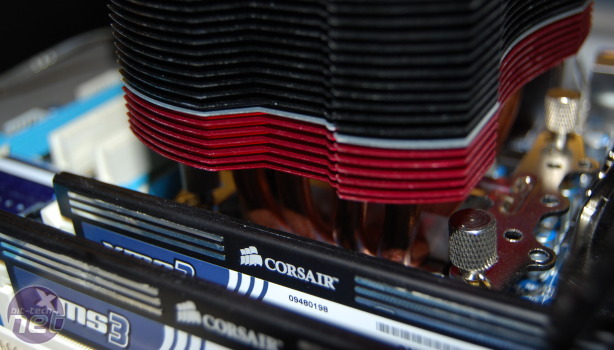 These two factors combine to give it enormous overclocking potential. You'll need a good cooler and motherboard to unlock all of the performance of the Pentium G6950. But it's worth it! To get the specs over with quickly (as this CPU is all about the overclock as far as we’re concerned), the Pentium G6950 is an lGA1156 dual-core chip that doesn’t support Hyper-Threading. The CPU operates at a reasonable 2.8GHz, but can’t use Turbo Boost to increase this frequency on the fly. The GPU inside the processor package is Intel’s GMA HD, which operates at 533MHz; other Clarkdale-based CPUs (such as the Core i3- and i5-600-series) have 733MHz GMA HDs. While we’ve generated results for the G6950 at stock speeds, we also pushed it as hard as we could by overclocking it. For this we used a Gigabyte GA-H55M-UD2H motherboard, which we’ve found is one of the best overclockers for Clarkdale-based processors. It still seems that H55 motherboards are better suited to overclocking Clarkdale chips and P55 best suited to Lynnfield Core i5-700-series and Core i7-800-series CPUs. 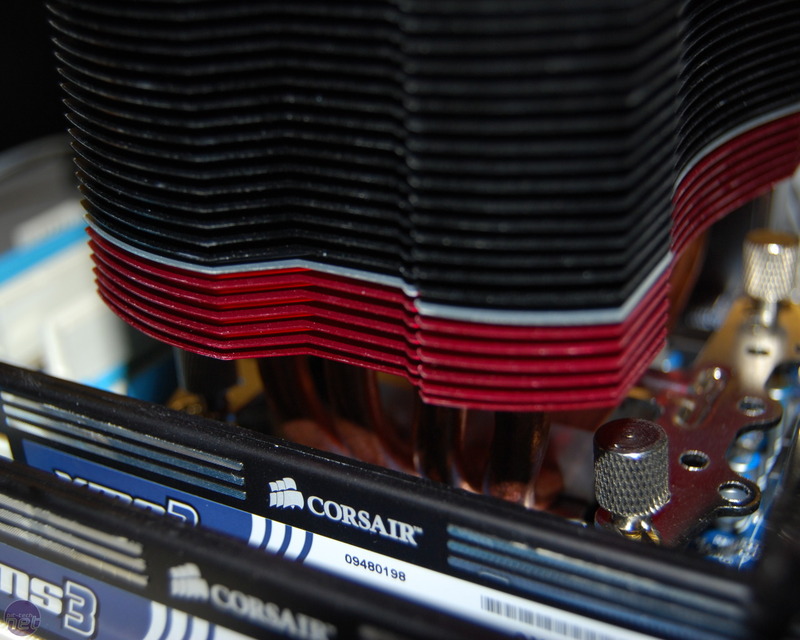 We used a Titan Fenrir cooler and 4GB of Corsair 1,600MHz DDR3 memory. 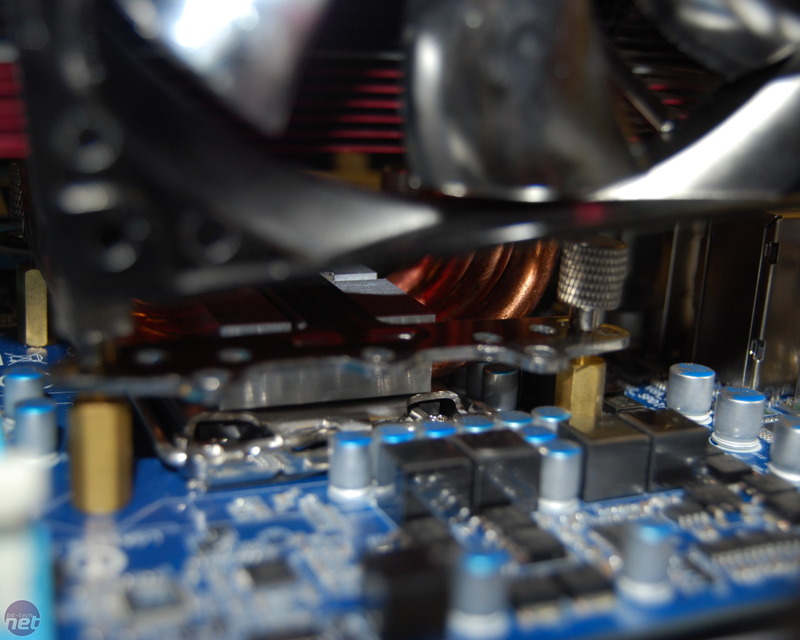 We also used a Radeon HD 5870 graphics cards, and therefore turned off the built-in GMA HD graphics chip. 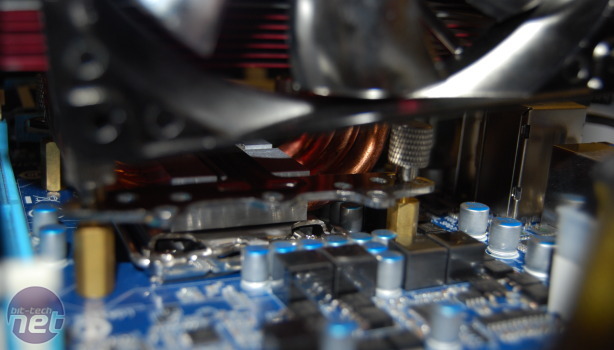 The plucky Pentium G6950 was hardly sweating, even at 4.62GHz. As there’s little cache within the G6950 to flake out when increasing the frequency of the CPU, and it’s built using the most overclockable manufacturing process on the planet, we started our overclocking session with an ambitious 1GHz clock jump, using a Base Clock of 181MHz and the standard 21x multiplier. For this we applied a 1.4V vcore and a 1.9V CPU PLL, while boosting the PCH (chipst) to 1.3V and the QPI to 1.2V. The CPU passed our Prime95 smallfft stress test without a hitch, so we kept on ramping up the Base Clock. And we kept ramping it up. The CPU passed the 4.2GHz mark with no signs of slowing and quickly we hit 4.62GHz with the use of a 220MHz Base Clock and the same voltages outlined above. When we first tested the H55M-UD2H it could only manage a maximum Base Clock of 210MHz, but the new F9 BIOS has clearly fixed that. However, nothing we could do could make the board run with a Base Clock of over 220MHz, which is pretty much the limit of the H55M-UD2H under air-cooling. We suspect that if we could have persuaded the motherboard to go beyond a 220MHz Base Clock, or knew a magician that could unlock the G6950’s multiplier, we could have coaxed even more speed from the chip. As it was, we had to settle for 4.62GHz, a huge boost from the standard 2.8GHz frequency the chip normally runs at.